However, instead of vending cash, the Pizza ATM delivers fresh, homemade pizzas to the denizens of Xavier University in Cincinnati, Ohio—24/7. Read more: Pizza pouches are a thing because pop-punk, right? Paline, a European Company, created this wonder (via Circa). Here's how it works: pizzas are made fresh by the dining hall at the University (which received an award for its food services in 2013). Then, within three minutes, customers are delivered a pizza from the machine. As you can see in that diagram, the Pizza ATM can take a whopping 70 pizzas at once. The Pizza ATM are also sold to pizzerias, so those businesses can give customers access to their pies 24/7 while simultaneously boosting profit. 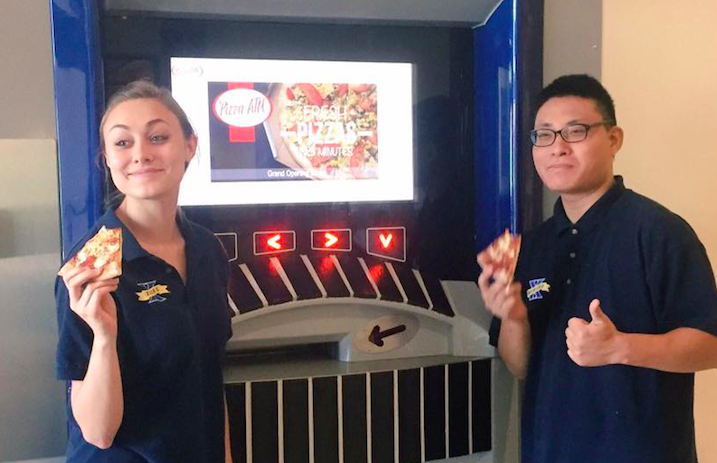 We can only hope that the Pizza ATM will become a widespread phenomenon soon enough.